Attendance at trade shows is on the rise, so setting up a booth at one of these events can be a great way to market your business or product. However, it is important to take certain steps to ensure that you are drawing in a large crowd to your event and exhibit. By employing a variety of strategies, you can increase the number of attendees to your booth at your next trade show. It is important to build up hype about your trade show in the days and months leading up to the event. Announce your event to potential attendees, and send out an email or letter inviting your customers to stop by your booth. If there is a trade show directory, advertise there and send out personalized invitations to registered attendees to visit your booth. If your company uses radio, print, or television advertisements, in the weeks leading up to the show, you may want to add a note about your upcoming event to further spread the word. The active use of your social media accounts prior to and during your trade show can attract guests to your booth. Use Twitter to share content along with the trade show hashtag, as this can maximize your exposure to attendees. Introduce your team that will be manning your booth on your Facebook page, and use this platform as a way to get out the message about any special offers, prizes, or deals you might have available during the show. Another important consideration when it comes to attracting people to your trade show booth is to have knowledgeable people staffing your exhibit at all times. Remember that your staff will only have about four seconds to engage potential customers that are walking by, so having the right people manning your booth can either make or break that initial impression. Your booth employees are your ambassadors, and they shouldn’t hide in the background. Instead, encourage your staff to ask people engaging questions in an appropriate way in order to find out if a person who stops is a potential customer. Before you go into a trade show environment, you’ll want to ensure that you have enough promotional items. Small items, such as mini-staplers, pens, or bottle openers that display your logo and contact information are best, as they are functional. These items are likely to be used by your potential clients once they leave your trade show, and looking at them in the future can remind these individuals about your business. Make sure that they are placed in a location that will require guests to walk through or into your display to access them. One way to make your booth stand out from the crowd at a trade show is to make it fun, such as adding a game element to your display. For example, a game where visitors need to spin a wheel in order to win a prize relevant to your business is a great way to attract visitors while also advertising your products. However, be sure to get contact information from players in exchange for participating. Your booth itself has the ability to attract visitors, so it’s not all about the shiny things that you put inside of it. It is important to create a warm, open aesthetic that mimics a retail style, but you also shouldn’t box in your space too much with displays or tables. Instead, work to create a calm sanctuary within the chaotic trade show atmosphere, and find creative ways to make your booth stand out from your neighbors. These methods don’t have to be expensive, as a little creativity can go a long way. Sponsoring experienced speakers for trade shows can be an excellent marketing opportunity for your business. Speaker sponsorship can allow you to attract visitors to your booth, strengthen your image, enhance awareness of your product, and potentially increase sales. The key to making this endeavor a success is to find the right speaker and to properly advertise his or her appearance at your trade show prior to the show date to get attendees excited about the event. Wandering around a busy trade show can be exhausting, so enticing attendees to drop by your booth with aromatic beverages or food, including coffee, cookies, and popcorn, can be a great way to get noticed. Visitors will appreciate the free drinks and snacks, and they will also be drawn in by the smells. Make sure that the staff working at your booth knows that this is a good time to engage potential customers in conversation. 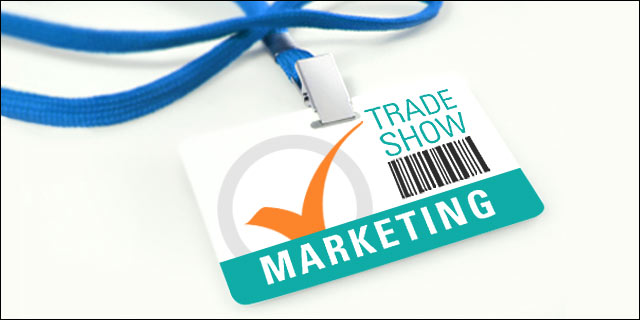 Trade shows are a great way to market your business and products to a large audience. By employing some helpful strategies, you can attract a large crowd to increase your customer base and business.